Node.js is fast gaining popularity as a development platform for mobile apps. It is especially useful for startup ventures which are heralded by novices who find Node to be easy to learn and easier to use. It is no wonder that many of the commonly-used apps today like Slack, Uber, PayPal are built on Node. 1) Node is extremely developer friendly. It contains excellent documentation and tutorial videos to teach working of node which is helpful for new developers. Since it utilizes Java Script which is a language known by most developers, Node is quite easy to use. Other technologies like ASP.NET and Spring demands developers to know other languages to code on the server side. This is not an issue with node which utilizes JS for both ends. 2) Node uses the same language for front and backend operation. Now the developer can focus on the coding instead of worrying about translating between different languages. This is a boon for startups which do not have to invest in separate developers for translating different languages. Node.js has a two-way communication model. The traditional request-response mode used by earlier platforms is not as effective as this mode. There is two-way real-time communication between the client and server exchanging data rapidly and effectively. Now the client does not always have to initiate conversation. 3) Node is highly scalable. Since Node and Java Script both follow a step-wise approach, iterations of new addition to existing apps can be easily added to program, tested on the run and deployed quickly. This makes Node-based apps very scalable. Thus the app can be re-used over and over again. 4) Node is very quick. A single node server can handle about twenty times the load produced by java. It does not clutter up with app servers and JARS that slow down processing speed. Thus app developers get a quick response and expedite app development accordingly. Since node utilize Java Script and is powered by Visual Basic, the runtime is extremely less and response time is far lesser. VB compiles and executes JS at the speed of lighting and gives instant response to developers. Moreover, Node distributes the development code between the client and developer servers. This further speeds up processing time. 5) Node’s library support is extensive. All the components work very well and in fine-tuned collaboration with each other. In this way, node scores over Twisted where the Python libraries don’t work well as they block the input-output flow. 6) With node there is no need to install or configure a web server for HTTP. Since node utilizes TCP and not HTTP for running its websockets, there is no need to spend time in installing a separate web server for working the HTTP examples. 7) Node is lightweight. Unlike other web technology-based platforms, node does not initiate a new thread for every new client request. This means every call or operation is executed on a single thread in a series of asynchronous callbacks. 8) Node has proved itself by its supreme performance. PayPal uses Node.js, and has reported doubling the number of requests per-second and reducing the response time by 35%. LinkedIn, moved from Ruby to Node to handle their mobile traffic, and reduced the number of servers to 30 to 3, got a new system which is 20 times faster. All these figures clearly indicate performance capability of Node.js. Node.js has numerous benefits for app developers, clients and vendors. No wonder it has taken the app world by storm. Whether it stands the test of time, is to be seen and witnessed in the long run. 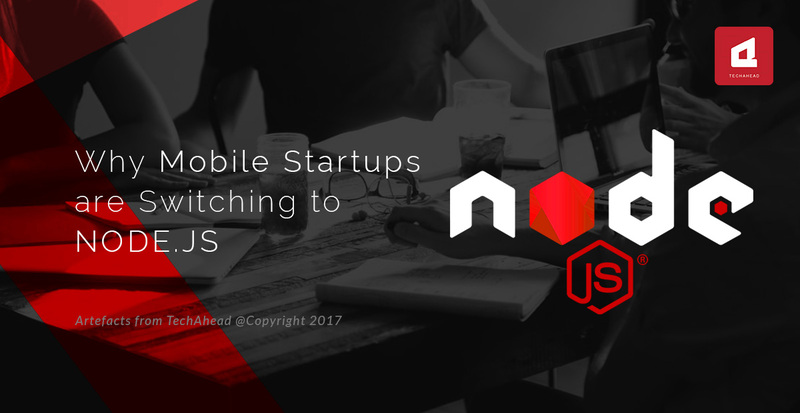 Many of the commonly-used apps today like Slack, Uber, PayPal are built on Node.js. Let us take a look at the benefits offered by Node.js to app developers and vendors.